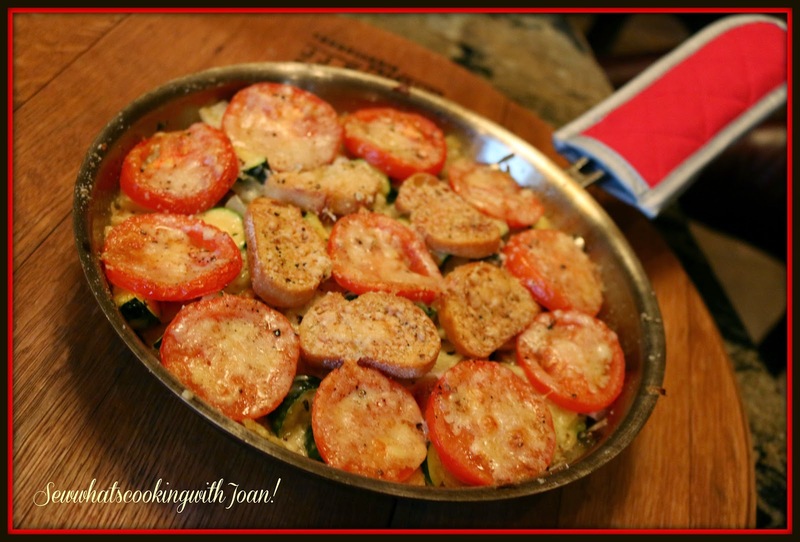 This amazing dish is perfect for Easter Brunch or Easter supper, my Zucchini Tomato strata can be made ahead! This strata.....really a savory bread pudding is amazingly easy and can be made the night before and baked in the morning!! Gruyere cheese, plump tomatoes, tender zucchini and fresh herbs flavor this rich breakfast or dinner side. Delicious! 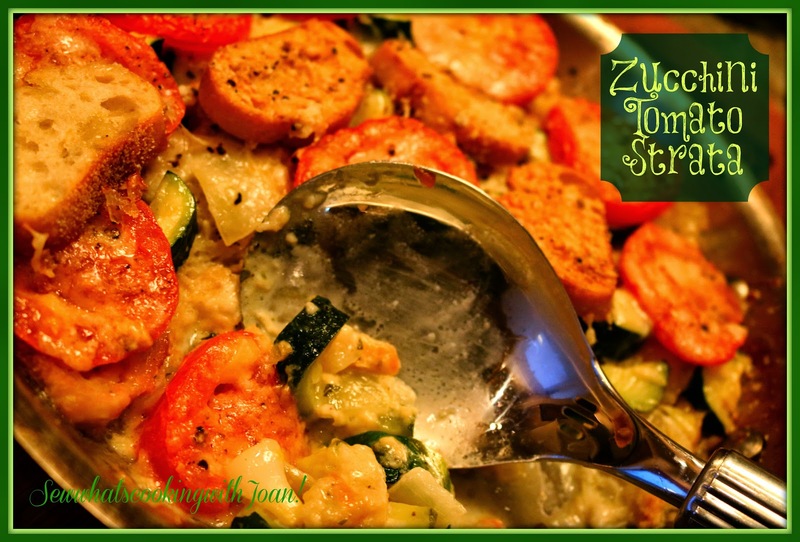 A French take on strata, or savory bread pudding, this simple dish contains zucchini, onion and tomatoes layered with slices of baguette, then baked with chicken stock and a little cream. So, let's hop to it! 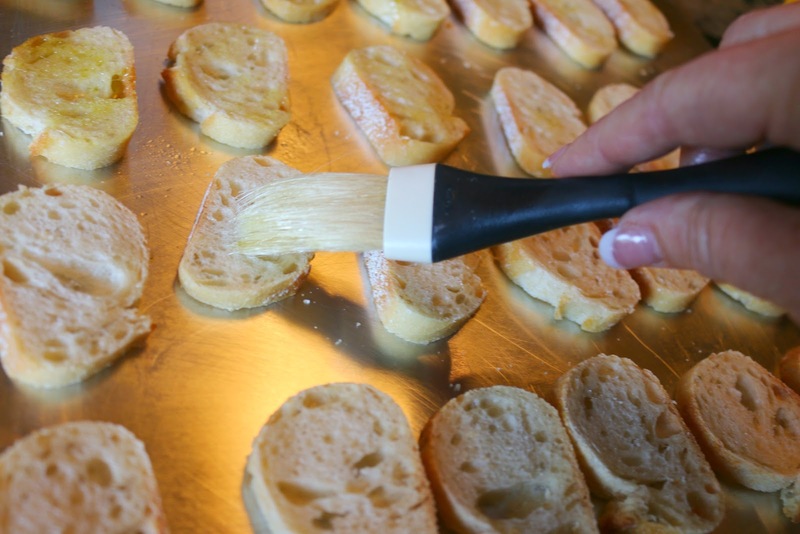 Arrange the baguette slices on a large baking sheet and brush lightly with olive oil. Salt and pepper the slices and bake for 6 minutes, until golden brown. In a 10 inch oven proof skillet, heat 2 tablespoons of the olive oil. Add the zucchini, onion and fresh thyme, season with salt and pepper and cook over moderately high heat, stirring a few times, until tender, about 5 minutes. Add 1/4 cup of the broth and the heavy cream, simmer over moderate heat until the mixture slightly thickens, about 3 minutes. 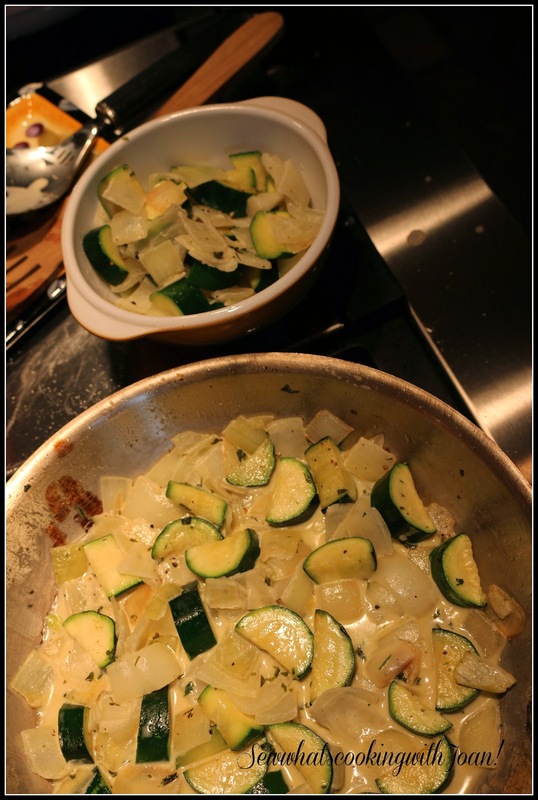 Season with salt and pepper and transfer half of the zucchini to a bowl, reserve. Spread the remaining zucchini in an even layer in skillet. Sprinkle with 4 tablespoons of Gruyere and 2 tablespoon of Parmesan, top with a layer of toasted baguette slices. Spread the reserved zucchini mixture over the toasts and sprinkle with 4 tablespoons Gruyere ad 2 tablespoons Parmesan. 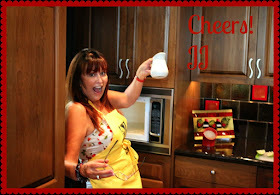 tablespoons of olive oil, sprinkle remain cheeses and season with salt and pepper. Carefully pour the remaining 1/4 cup chicken broth around the edge of he skillet and over the top. 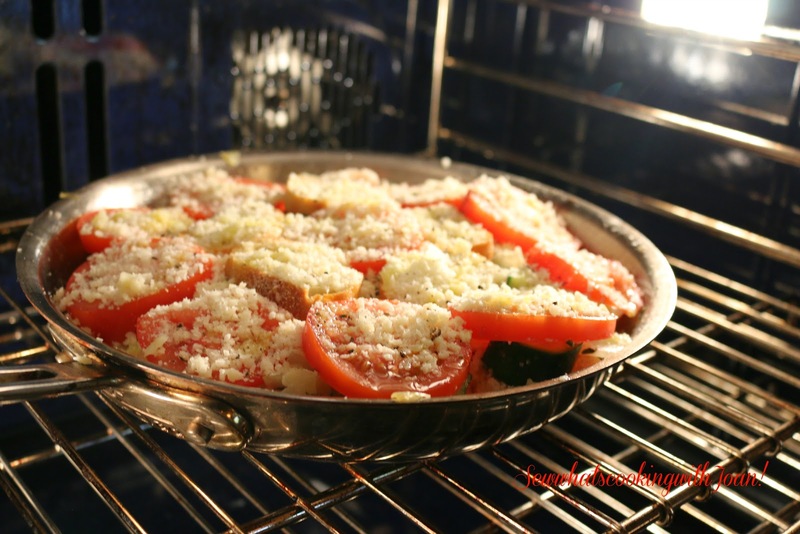 Bake for about 35-40 minutes, until the top is browned and the tomatoes have released their juices. let stand for 10 minutes before serving. Make ahead- Assemble up to bake time the night or morning before, then pop into the oven the next day. The strata can also stand at room temperature for up to 2 hours safely. Reheat in a 350° oven for about 10 minutes, just until warmed through. Easter is almost upon us! Do you need to make your child an Easter Basket? 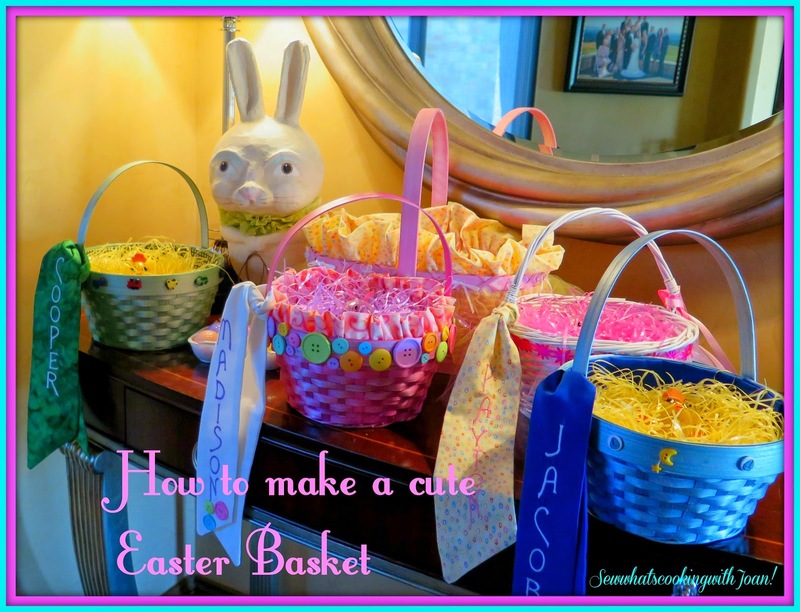 Go to How to make a cute Easter Basket! 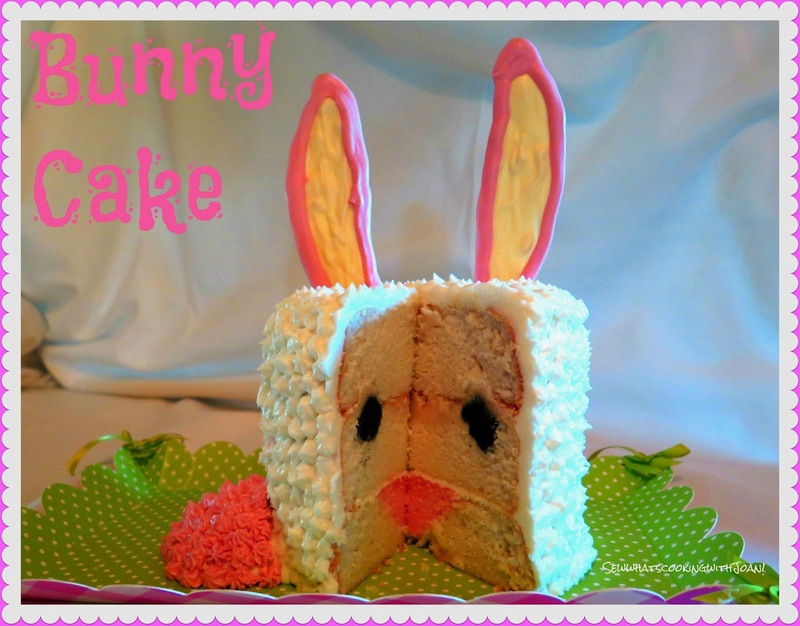 To make an adorable Bunny Cake with "Surprise" inside, go to How to make a Bunny Cake! 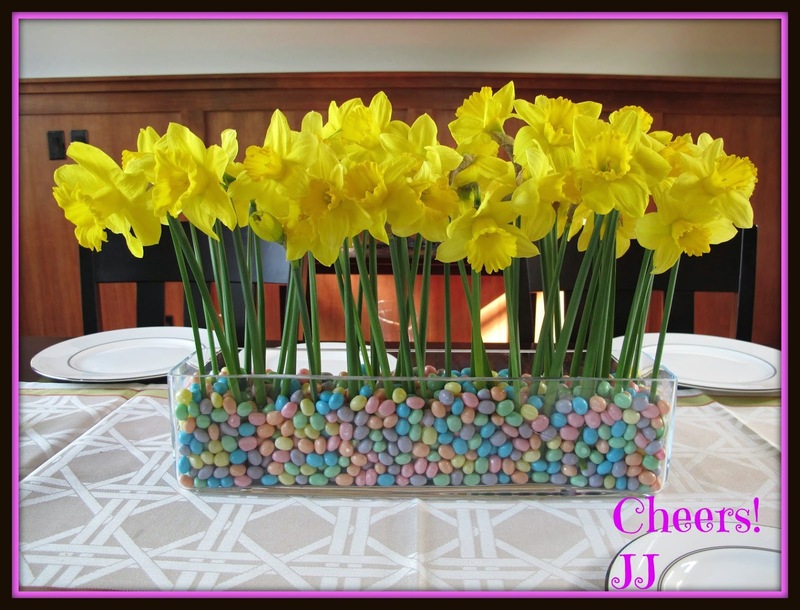 How to make a beautiful Easter Table arrangement is "A beautiful Table arrangement for Easter"! I made this strata last night and everyone loved it. I thought the zucchini would get mushy, but it didn't, it was perfect. My Mother noticed the baskets, and decided she was going to make them for my girls. They are adorable!